DNA is the blueprint that makes every individual unique. In addition to physical traits such as hair and eye color, there are numerous other pieces of information that are passed down from our ancestors through our DNA. Approximately 1 in 7 marriages are between spouses of different ethnicities, and the number of multi-racial children have increased 50% over the last decade. Donors comprise an increasingly diverse melting pot of ethnicities in the United States. Of individuals ages 18 to 64, only 60% could indicate the ethnicity of all four grandparents. Traditionally, donors were screened for their ethnic backgrounds. Thanks to advances in genetic technology, we now have the ability to look deeper into the genetic code and get a better picture of what might be in a donor’s blueprint that isn’t obvious on the surface. This testing has allowed us to screen egg donors so prospective parents are able to reduce the risk that their child may be born with a genetic disease. 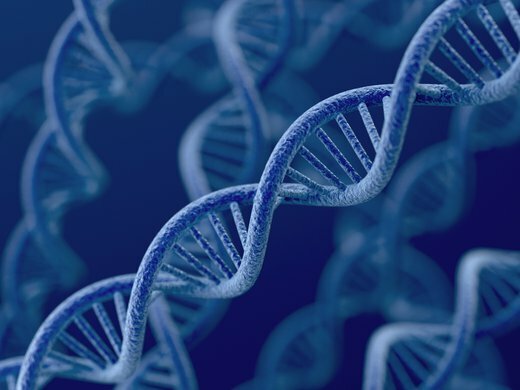 Advanced Genetic Screening and Why it’s a Good Thing! Approximately 40 percent of the DEB USA network egg donors will be identified as genetic carriers during their genetic prescreening. Though it may seem counter intuitive, this is a good thing! When a donor’s genetic carrier status is known, your fertility doctor is able to take steps to assist you in reducing the risk that a carried trait will pass down to your baby. Usually the partner providing the sperm will undergo genetic testing to determine whether he is a carrier of the same genetic trait. If he is not identified as a carrier for the same trait as the donor, the risk is extremely low that a child produced would be affected by the genetic disease. If a donor is not identified as a genetic carrier, it does not necessarily mean that she has “perfect” genes. It only means that she is not a carrier for a disease in which she was tested. As already mentioned, not all donors know their ethnic background, so a more thoroughly screened donor is beneficial. As of January 1, 2015, all new egg donors have been screened via the Counsyl 2.0 next-generation sequencing platform. Counsyl is a health technology company that offers DNA screening for diseases that can impact men, women, and their children. The testing they provide is considered clinically useful and can be reported with > 99.9% accuracy. There are currently 105 diseases screened on each new donor’s genetic testing panel. You can view the specifics of each donor’s screening in the donor’s profile on the pages labeled “Genetics [1, 2, 3, 4]” There is a box at the very top of each page that will state how many genetic diseases the donor has been tested for, and whether she has been identified as a carrier for any. It’s very important to review this section when considering a donor match, especially if your partner has also been determined to be a genetic carrier. When it comes to genetic screening of an egg donor, there is no such thing as “too much” information. With this information, you and physician can make an informed decision about your treatment and significantly reduce the risk that a disease will be passed to your child. So you’ve found that perfect donor and her profile says she is a carrier. What are your next steps? First, don’t hesitate to lock in your selection through the website. You will always have the option to change your mind later, but if someone else selects the donor that you love, she’s gone! Second, once you have made your selection, DEB USA will reach out to your fertility practice to let them know you have selected a donor who is a genetic carrier. You will also receive an email containing more information about the genetic condition(s) and instructions on how to connect with Counsyl for a complimentary consultation. Depending on whether additional genetic testing is needed for the sperm source, it may take about two weeks for the doctor to review the results and advise on whether they recommend moving forward with the selected donor. Your donor will be reserved for you throughout this period, so there is no need to worry that she will be selected by someone else. If you determine that this is not the right donor for you, you are welcome to cancel your selection and log back into the website to browse the database again. Lastly, the process will move forward as it does typically, with the eggs being shipped to your practice and the start of your cycle. We wish you much success in your journey and want to reassure you that a donor that has been thoroughly screened is a great choice. As genetic testing continues to make advancements, we know your soon to be child, will benefit from the additional knowledge.